For the International Disarmament Institute’s comprehensive report on the impact of the Kiritimati and Malden Island nuclear weapons tests, click here. For its report on the impact on Fijian veterans, click here. For the International Disarmament Institute’s general overview of the global humanitarian, human rights and environmental impact of nuclear weapons use and testing, click here. 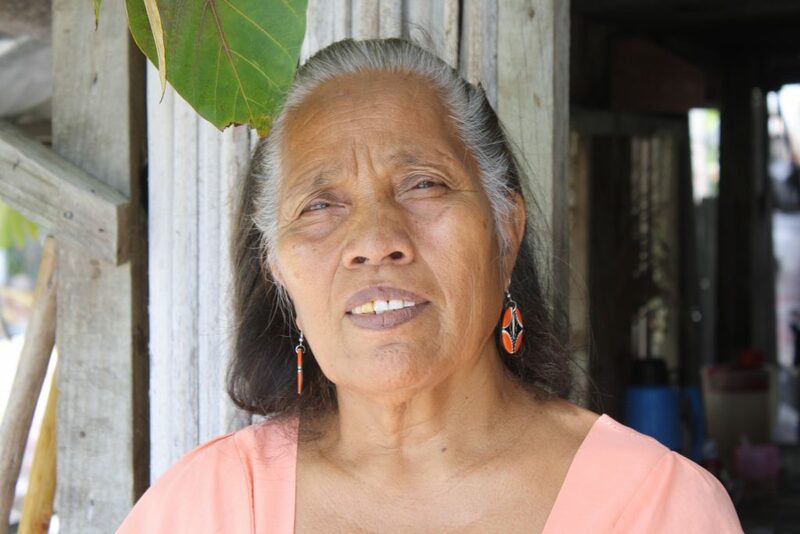 Teeua Tetua, President of the Association of Cancer Patients Affected by the British and American Bomb Tests, Kiritimati, January 2018. Photo: Matthew Bolton. 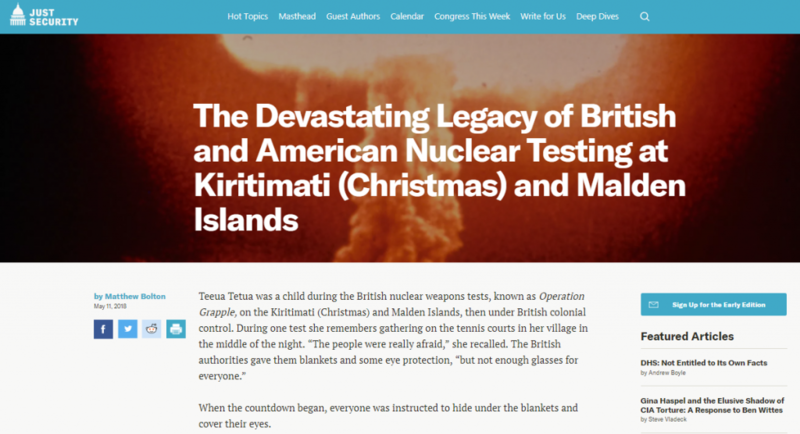 Between 1957 and 1962, the UK and USA tested 33 nuclear devices at Malden and Kiritimati (Christmas) Islands, now part of the Republic of Kiribati. British, Fijian, New Zealand and American veterans of the testing program and I-Kiribati civilians who lived on Kiritimati claim their health (as well as their descendants’) was adversely affected by exposure to ionizing radiation. Their concerns are supported by independent medical research. However, analysis of the ongoing humanitarian, human rights and environmental impact of nuclear weapons testing at Kiritimati and Malden Islands has been inadequate. The 2017 Treaty on the Prohibition of Nuclear Weapons (TPNW), which Kiribati has signed but not yet ratified, obligates assistance to victims and remediation of contaminated environments, including those affected by the Christmas and Malden Islands nuclear tests. The International Campaign to Abolish Nuclear Weapons (ICAN) was awarded the 2017 Nobel Peace Prize for the role of its advocacy in achieving the treaty. For a related report on the impact of the Kiritimati and Malden Island tests on Fijian veterans, click here. For a general overview of the global humanitarian, human rights and environmental impact of nuclear weapons use and testing, click here.